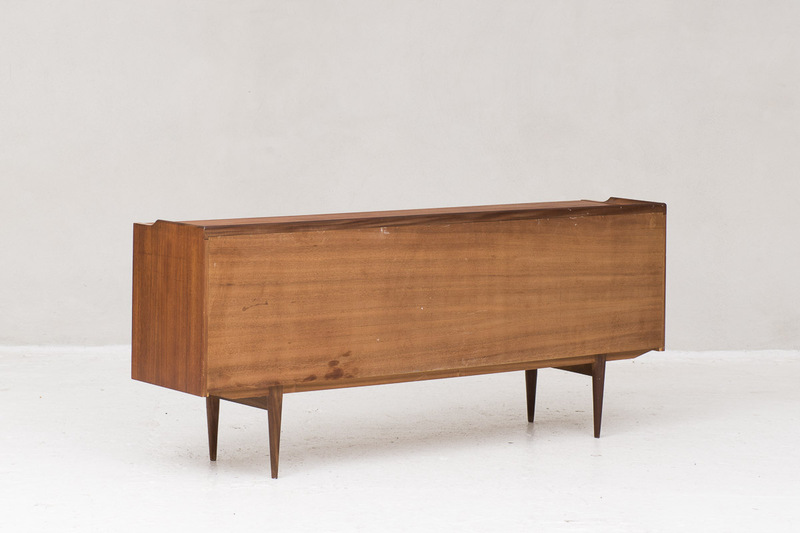 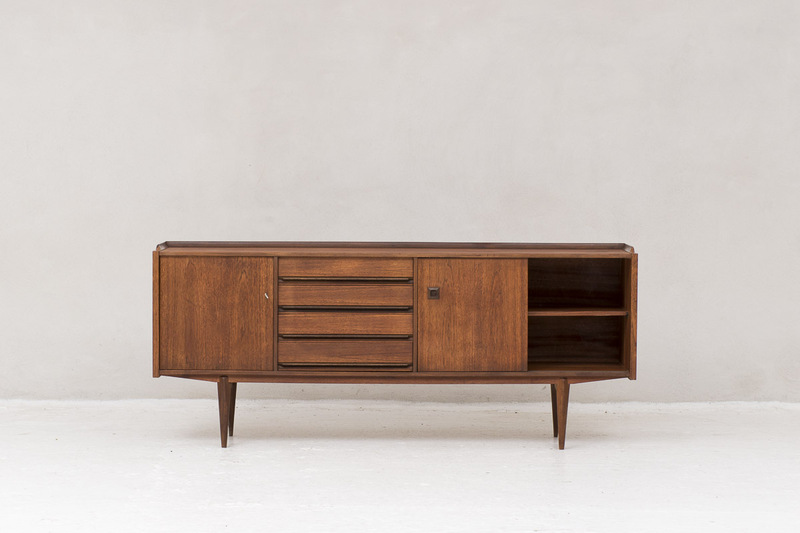 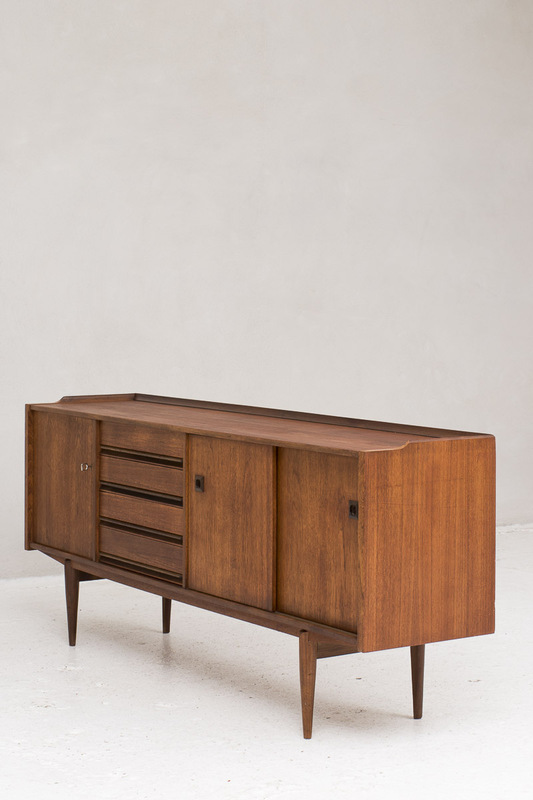 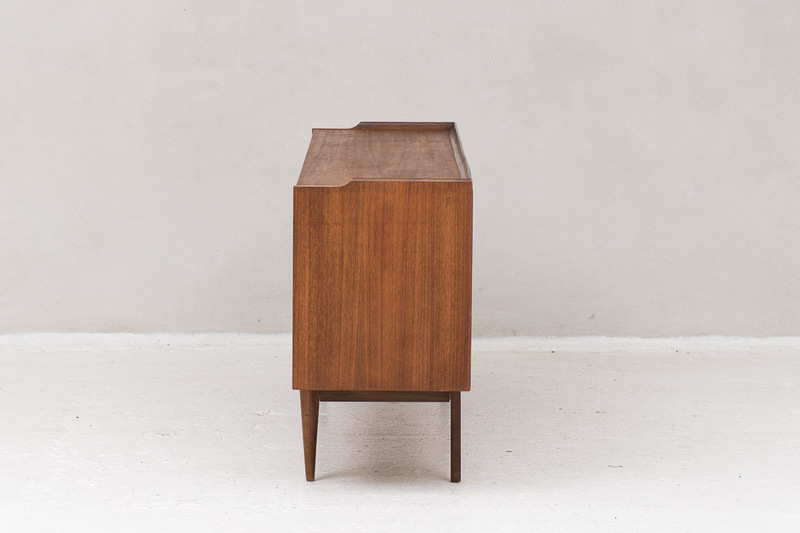 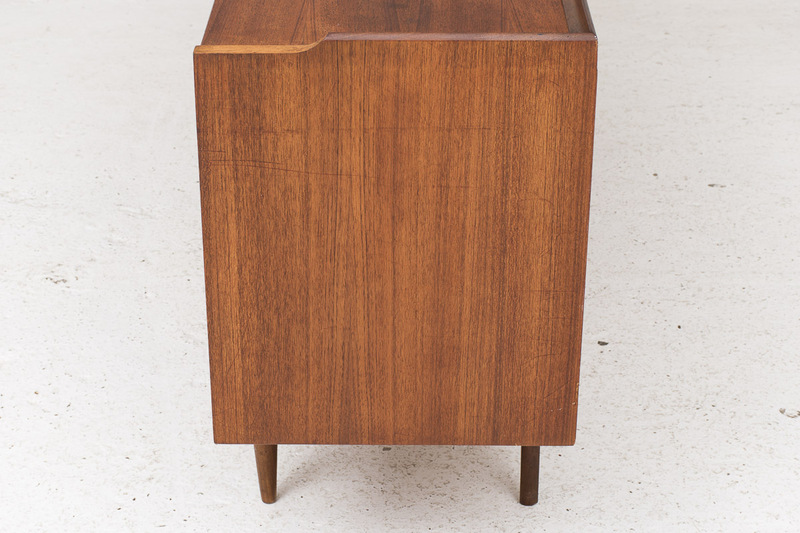 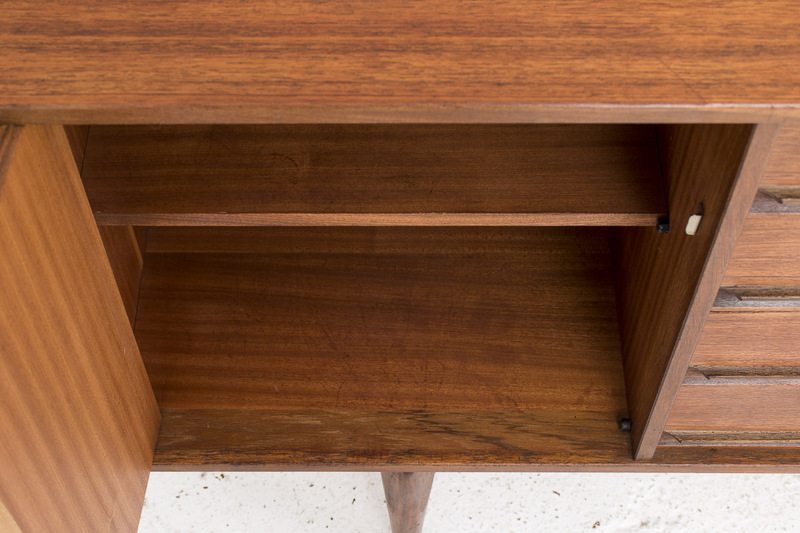 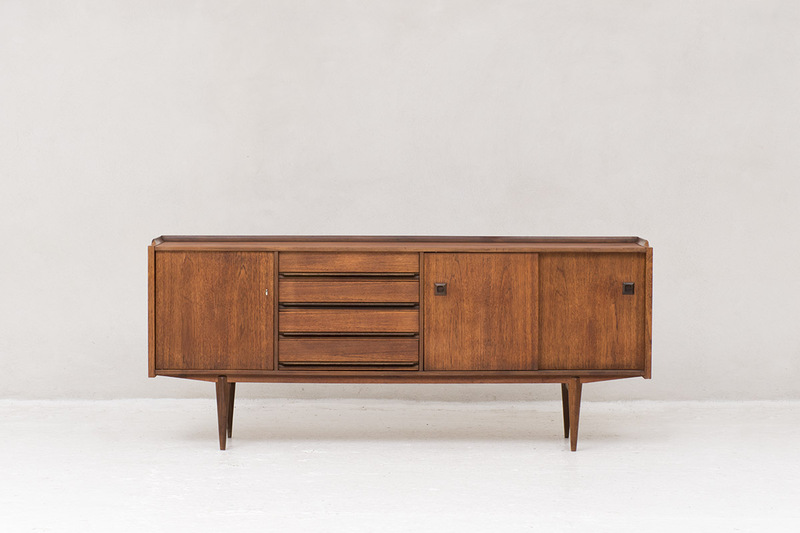 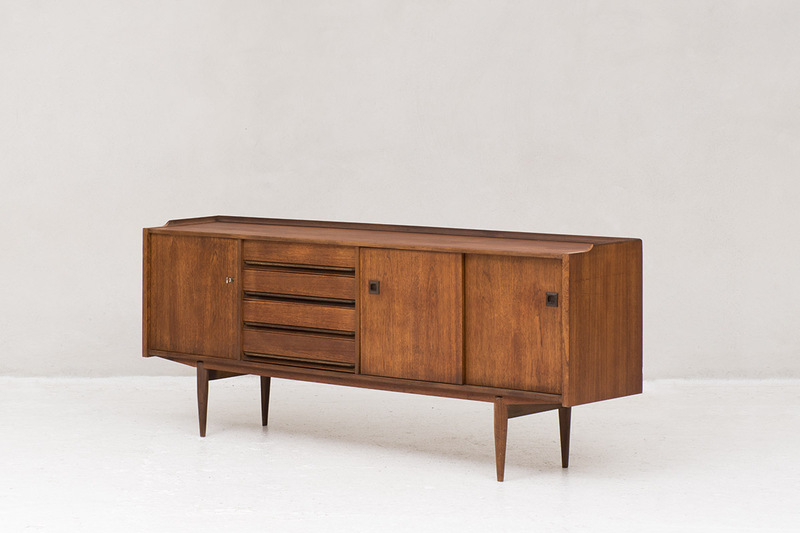 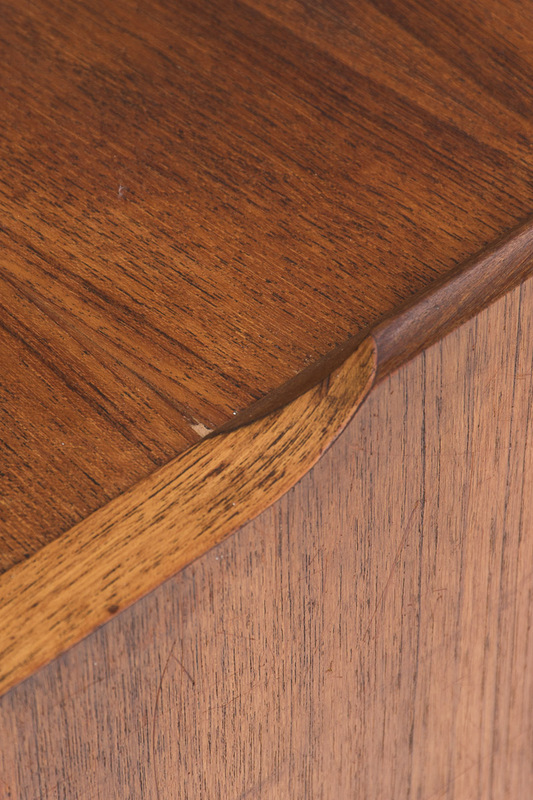 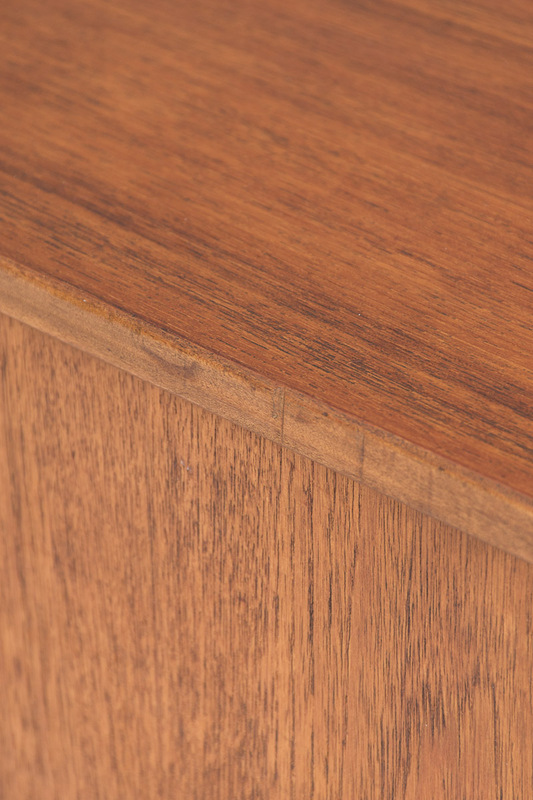 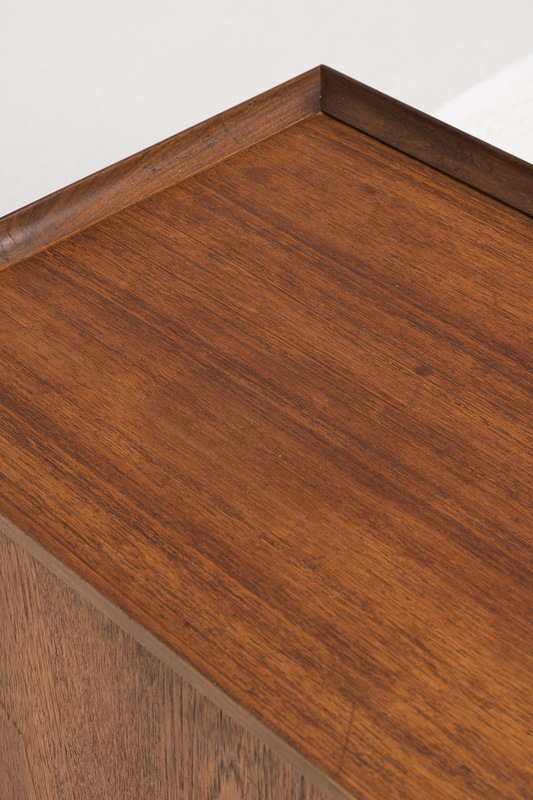 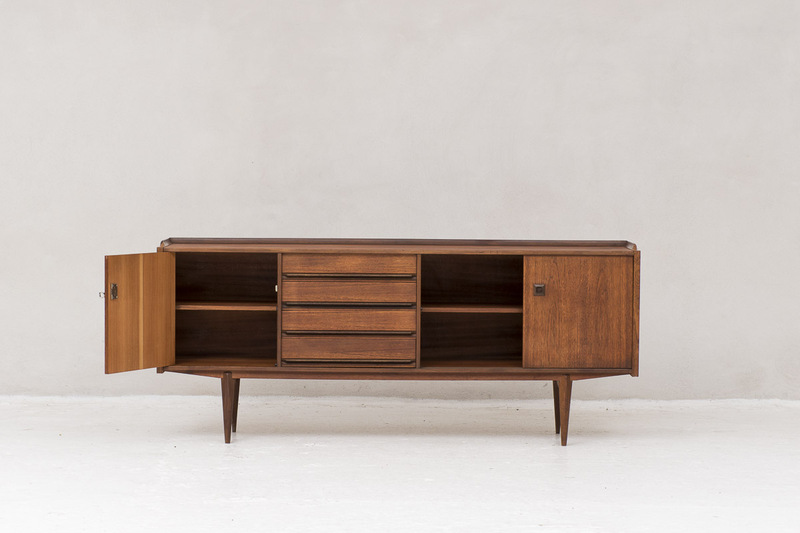 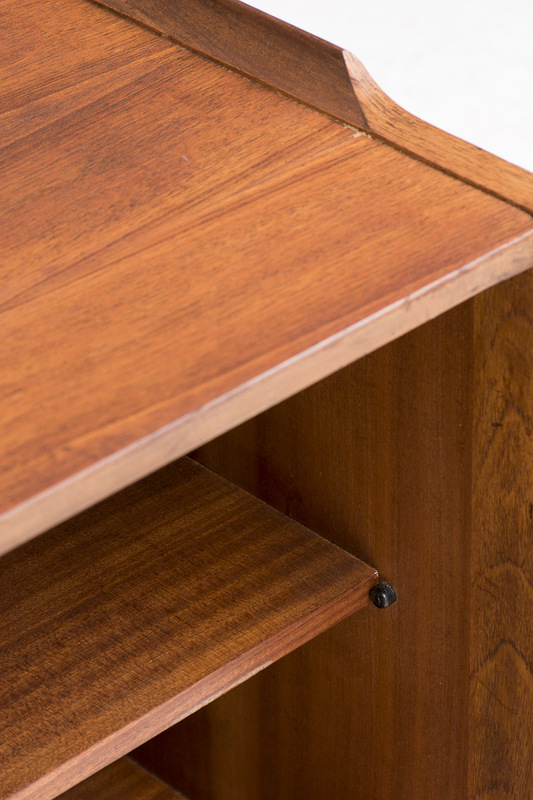 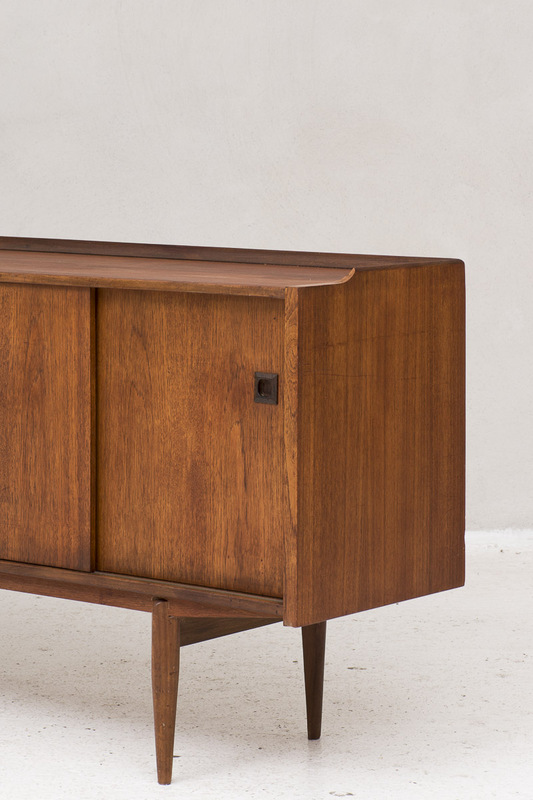 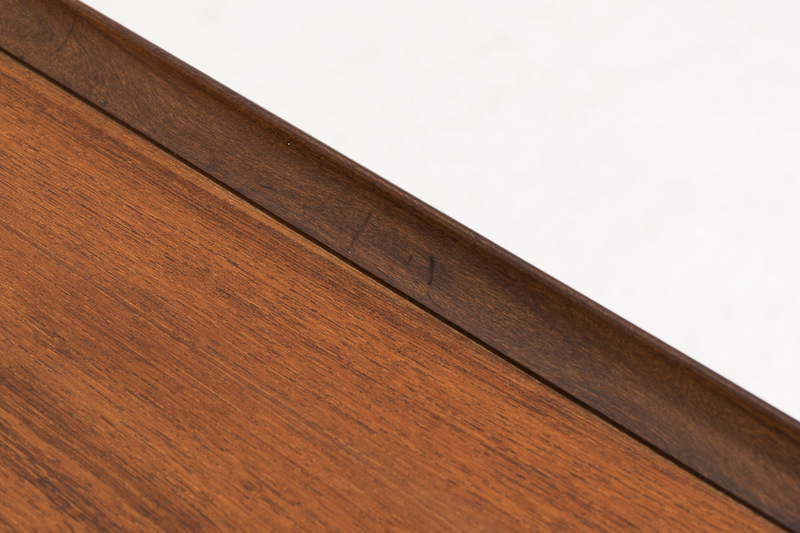 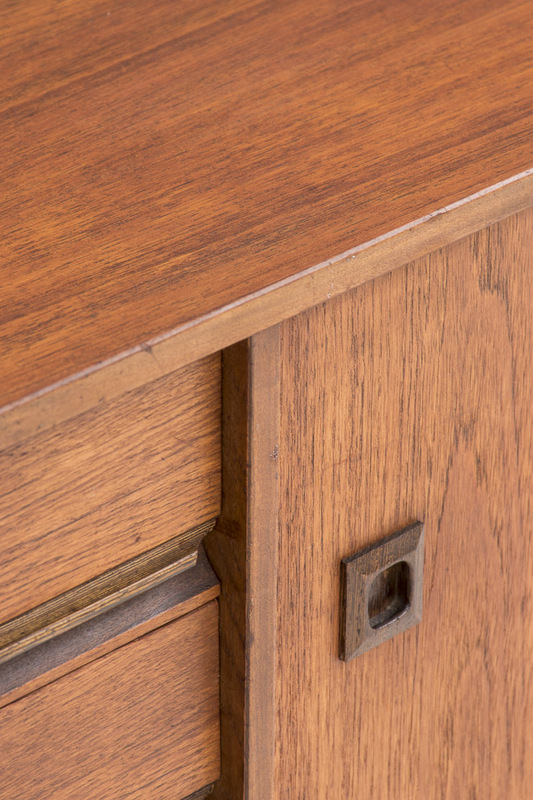 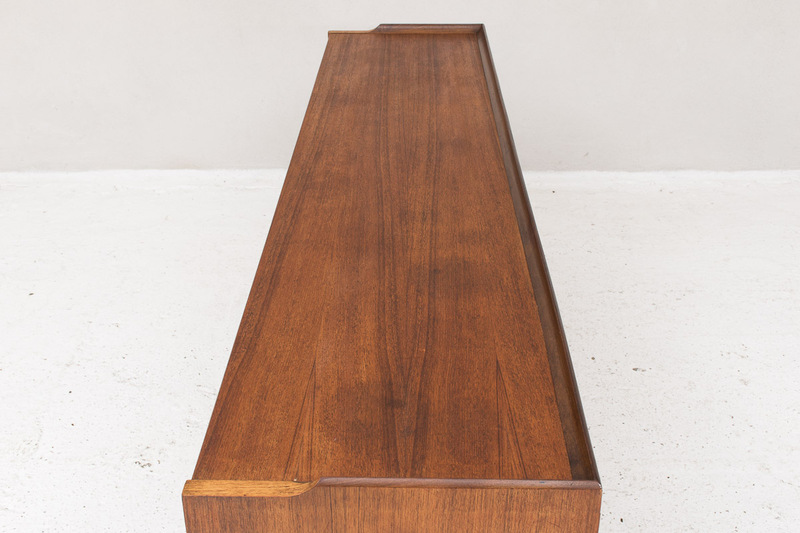 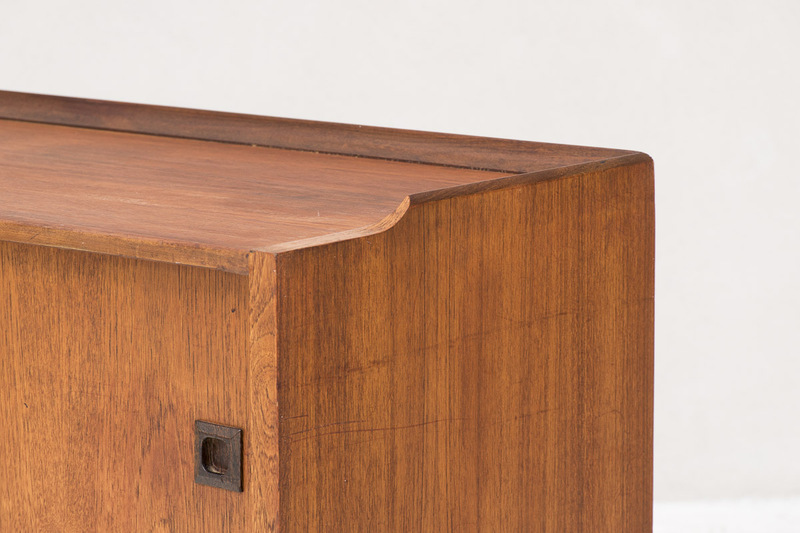 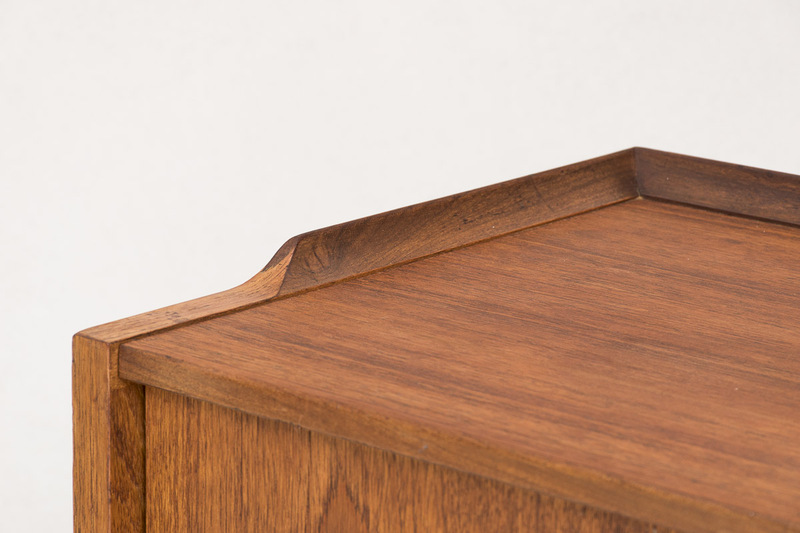 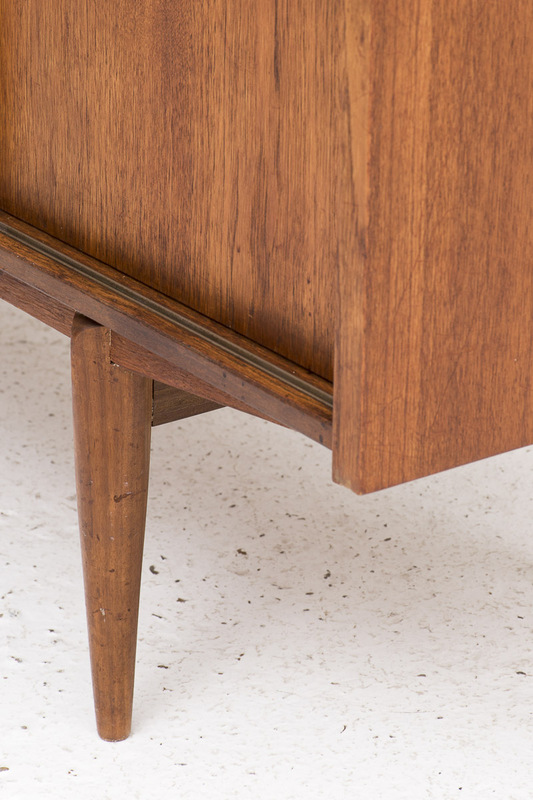 Sideboard in solid teak with tapered legs. 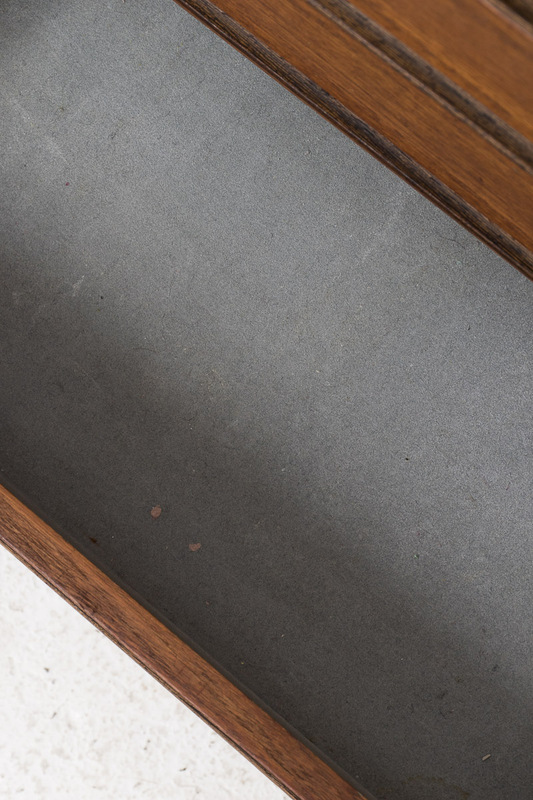 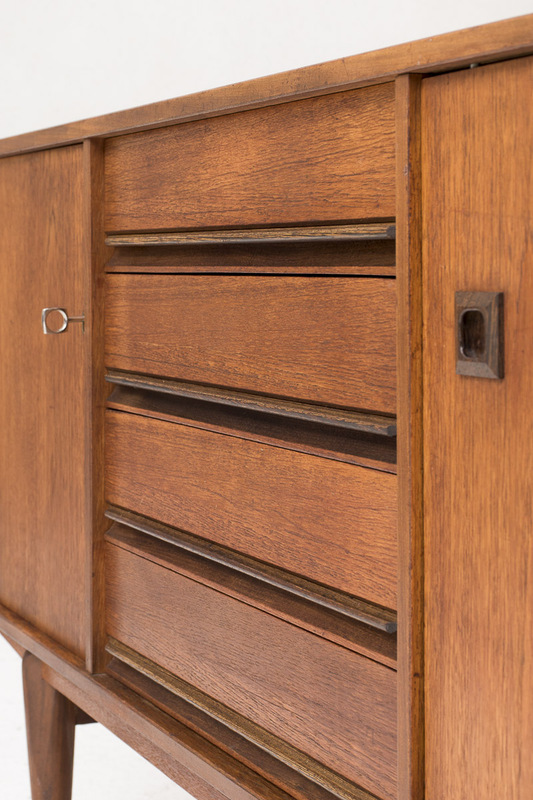 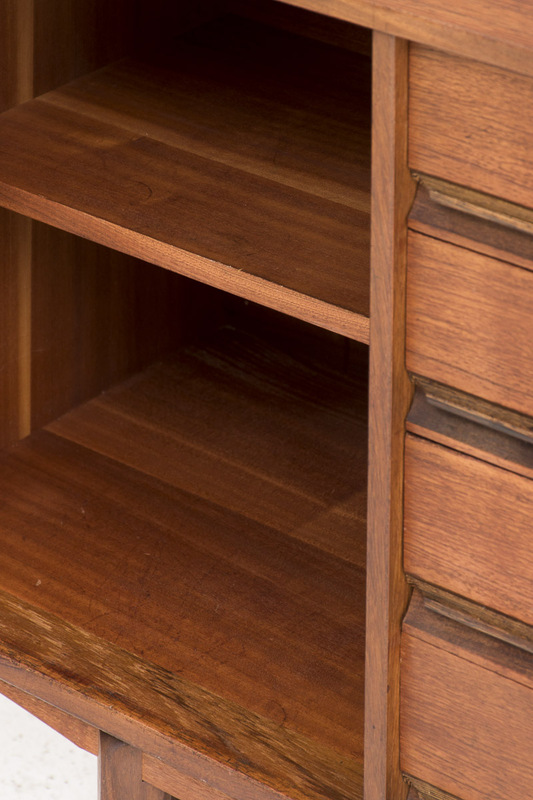 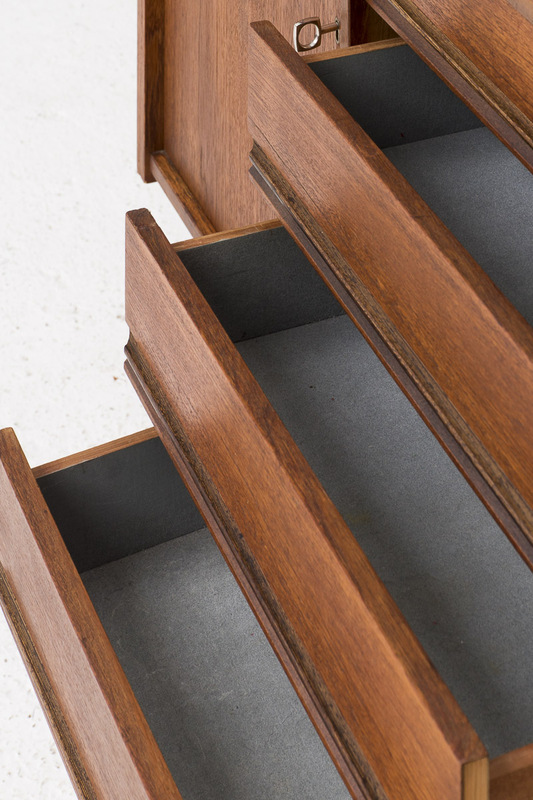 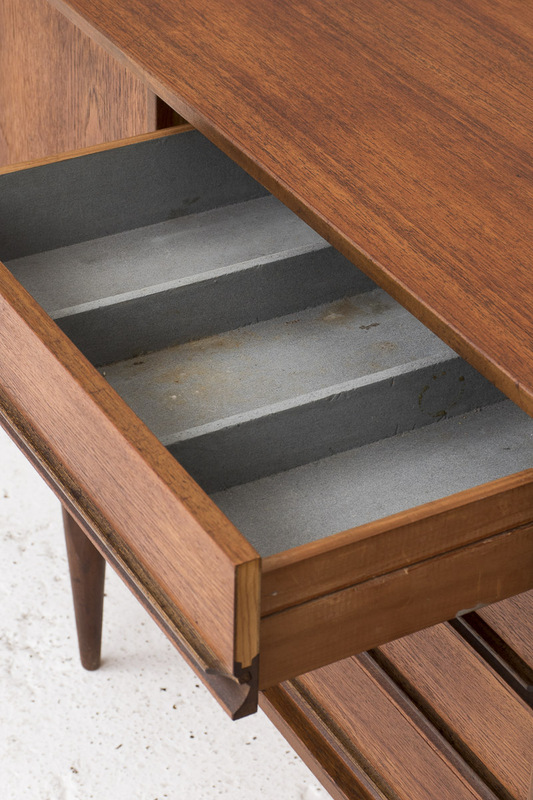 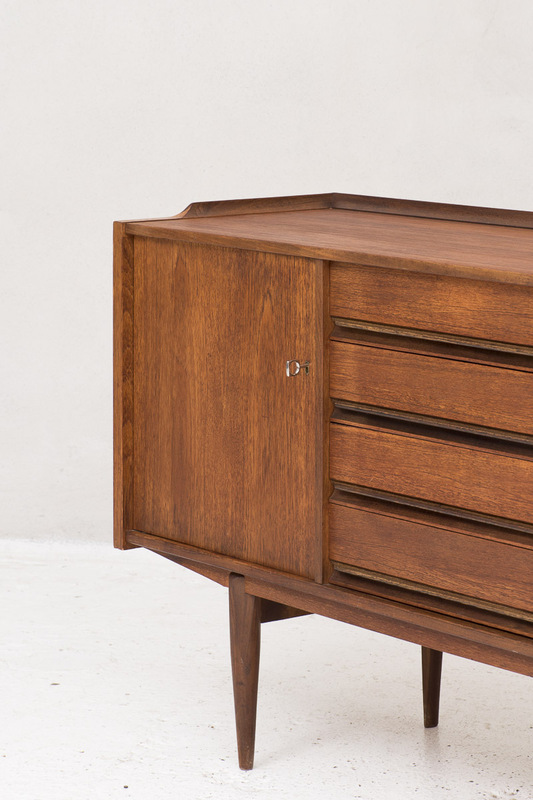 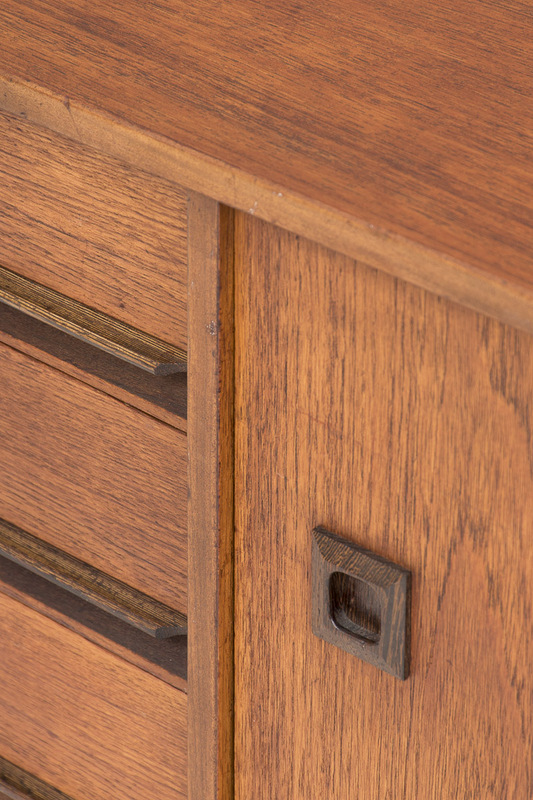 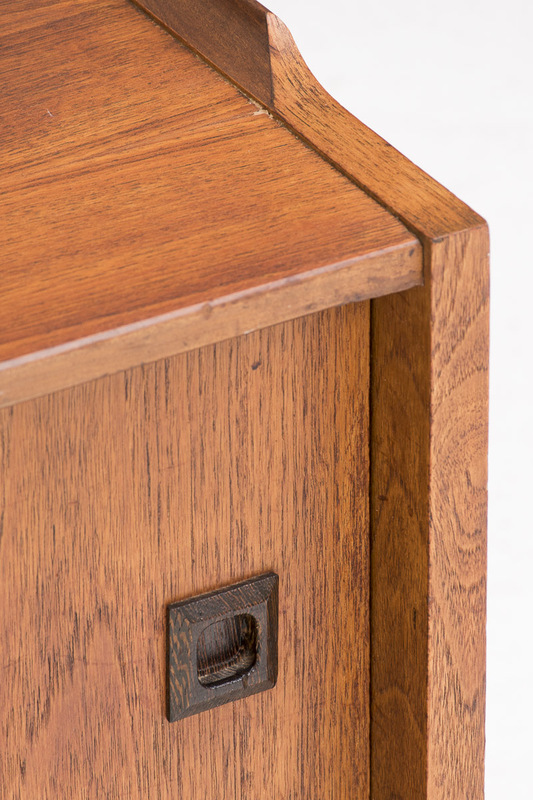 This cabinet features two sliding doors, a cabinet with the original key and four drawers in the middle. 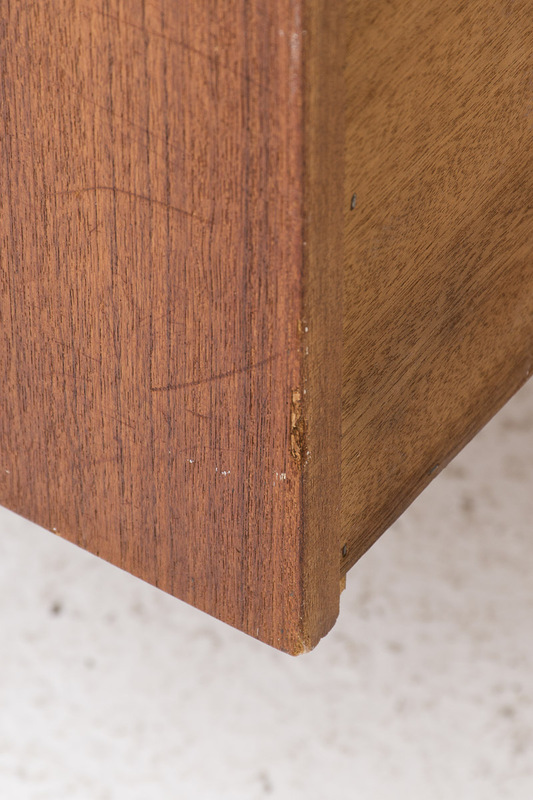 The piece carries some signs of a previous life as shown in the pictures.